We see you; we honor you, and celebrate you. Lets be real: It hasn’t been easy lately with our current political climate and the ever evolving polarizing energy. Like most of us, we know you are on the front line for our collective liberation and hardly take time for yourself. We know you have been wanting to run away from it all. Well, like you, we are tired of being displaced and pushed to constantly move: in order to find spaces that can sustain our psyche, strength, creativity, agency, and well-being. Instead, we want to join hands and cultivate community space for us, and by us. Right Here! 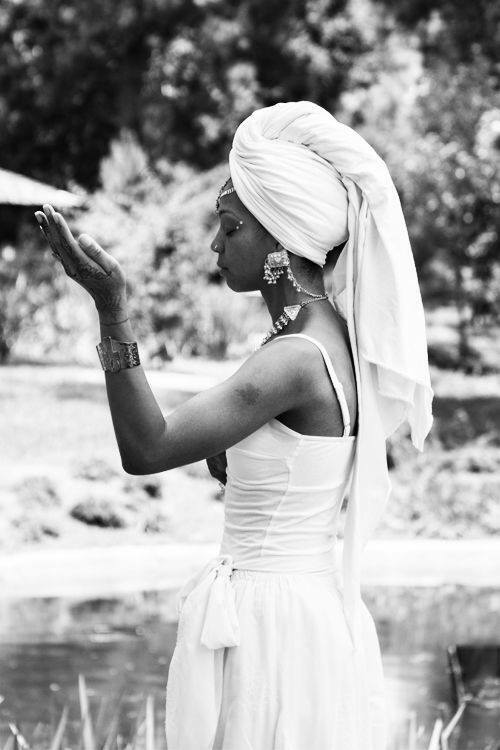 STEP INTO YOUR DIVINE FEMININE POWER- Afro-Centric Summer Retreat is designed just for you and our collective radical self-care and love.Come for Black Feminine Power, Resilience, Strength, Business, Healing, Sisterhood, and Black Joy! Come as Big and Sacred as YOU ARE! Drop the mask, embrace you and let sisterhood circle embrace you back. We want to show up with our authentic, raw, and vulnerable selves for our sacred sharing space. Our Healing Circle will be facilitated by the awesome, Regent Brown, of Fostering Real Opportunities Regent is a coach, facilitator, healer, and social psychologist. She asks, are you curious of what your fullest self could achieve? Decolonize Yoga will be instructed by the force that is Abiola Akanni/our partner for our holistic approach and culturally responsive business development. Abiola is founder and business owner at Yoga By Biola an undeniable force in the yogic community, actively and intentionally cultivating truly holistic wellness and inclusivity for all fitness levels, genders, and ethnicity. A self-proclaimed self-love activist, she’s on a mission to create non-judgmental spaces for all to develop their personal yoga practice. Penda Toure is a small business owner, making natural beauty and cosmetic products for men and women at Masheyda, an all Natural Handcrafted Skin Care Products Rooted and Inspired by Senegalese Culture and Tradition. Penda will grace us with her natural products and more. Afrikan Inspired Fashion and Headwrap Tutorial will be offered by non other than our amazing alumni and member, Nansare Consolate, Owner at African Print Takeover. African Print Takeover specializes in event planning, cultural awareness and fashion show wth an educational purpose. We encourage you to wear white and bring your yoga gear and yoga mat with you! Brunch will be served + we have a surprise gift for all our guests and presenters. This entry was posted on August 7, 2018 by Seattle Black Feminists in Uncategorized and tagged Hillman City, Retreat.